amani is using Smore newsletters to spread the word online. it is an group of bacteria that can cause many diseases as a result of infection of various tissues of the body. 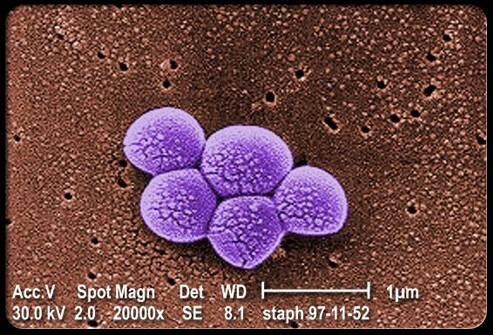 Minor skin infections are usually treated with an antibiotic ointment such as a nonprescription triple-antibiotic mixture , But MRSA is one example of a so-called "superbug," an informal term used to describe a strain of bacteria that has become resistant to the antibiotics usually used to treat it. contaimented water or drinks , also Anyone can develop a Staph infection, including newborn infants, breastfeeding women, and people with chronic conditions such as diabetes, cancer, vascular disease, and lung disease. , those with skin injuries or disorders, and those with a weakened immune system have an increased risk of developing Staph infections.